Everything OK, came wel packed. Tastes great and brings a little holiday feeling to my home. Delicious! Очень вкусное мясо, отлично упаковано! Рекомендую! Great product and fast shipping! Замечательный продукт и быстрая доставка! 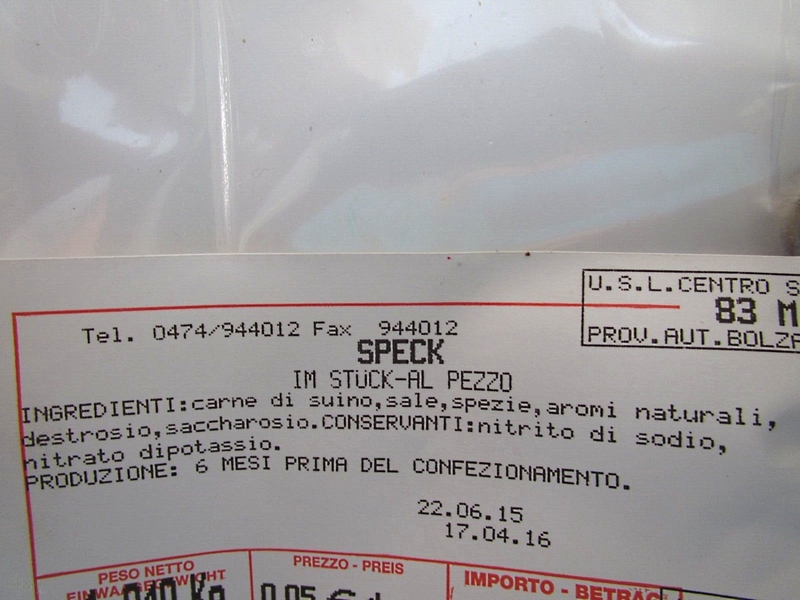 The Hell traditional speck was very disappointing. Although teh texture was very good, tender and correctly proprtioned fat to lean, the taste was not good, leaving a slightly unpleasant aftertaste in the mouth. Great taste. Excellent quality. Would recommend. It came to Russia in excellent condition. Awesome! Authentic! Made it all the way over to the US and tastes sooooo good! Thank you for a little taste of Suedtirol! 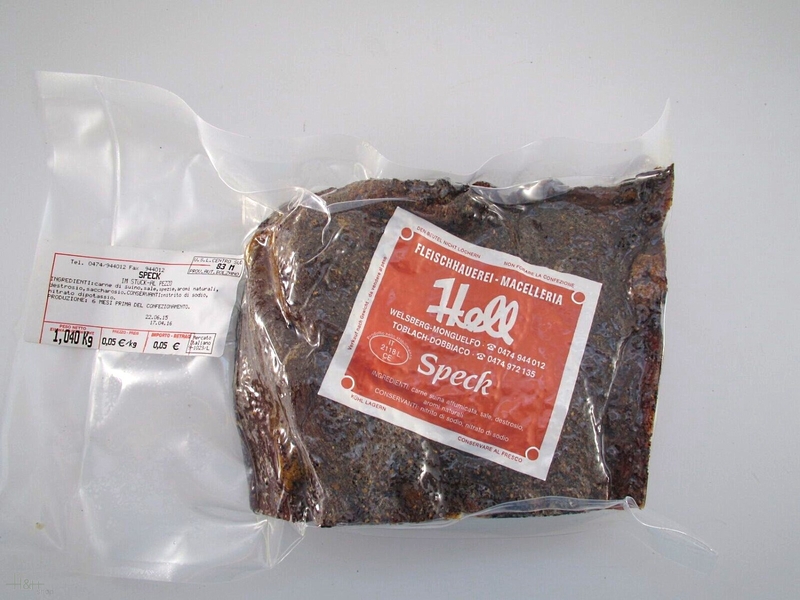 Der Speck der Metzgerei Hell ist der Allerbeste!!! 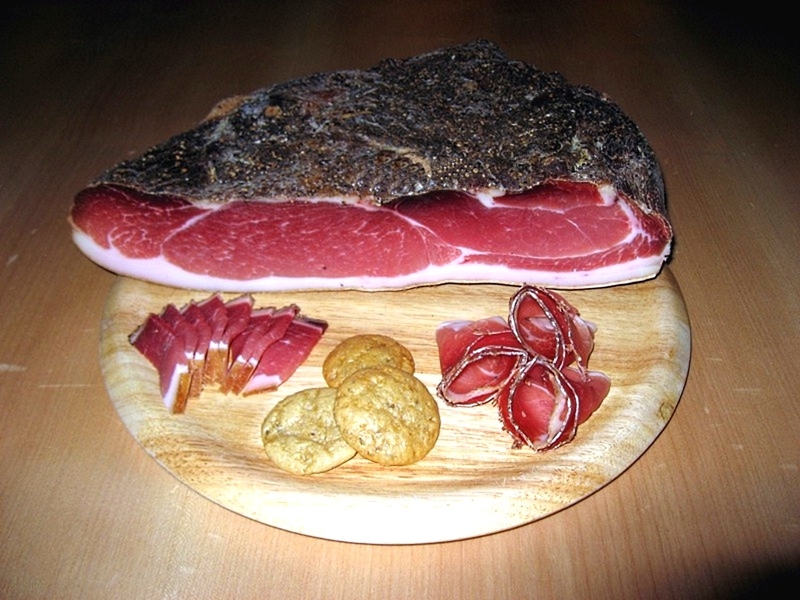 Traditional Speck from Butchery Hell is the best!! !